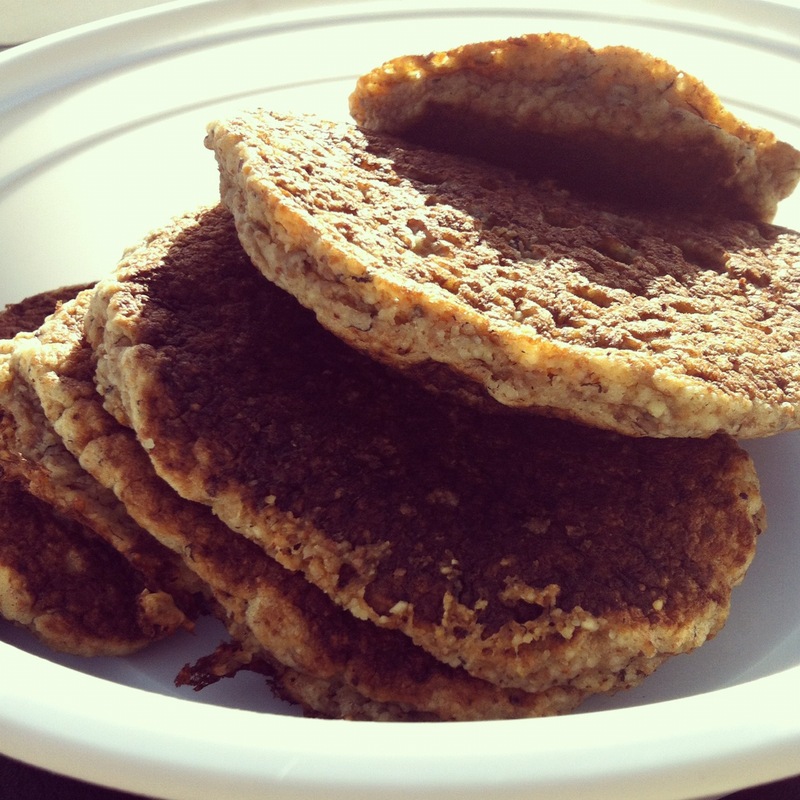 I hadn’t originally intended for these to be banana bread pancakes, but that’s what they came out tasting like. I went to the refrigerator to make Little Man some pancakes and discovered that I had no milk and no eggs. How on earth did that happen?! I did, however, have almond milk, overripe bananas, flax and chia seeds. From my endless perusing of internet blogs, I knew you could make a flax “egg” and a chia “egg” by mixing aforementioned ingredients with water and letting it sit for about 15 minutes. So I figured, why not try both? I also knew almond milk would be an equal substitute for regular milk and bananas would add a nice sweetness and richness to the pancakes. Since I was feeling experimental and I had recently ground a bunch of grains and frozen them, here is the recipe that developed. It made a LOT of pancakes, which incidentally, are Vegan. You don’t need to go nuts with the flours like I did, but they were really good this way. 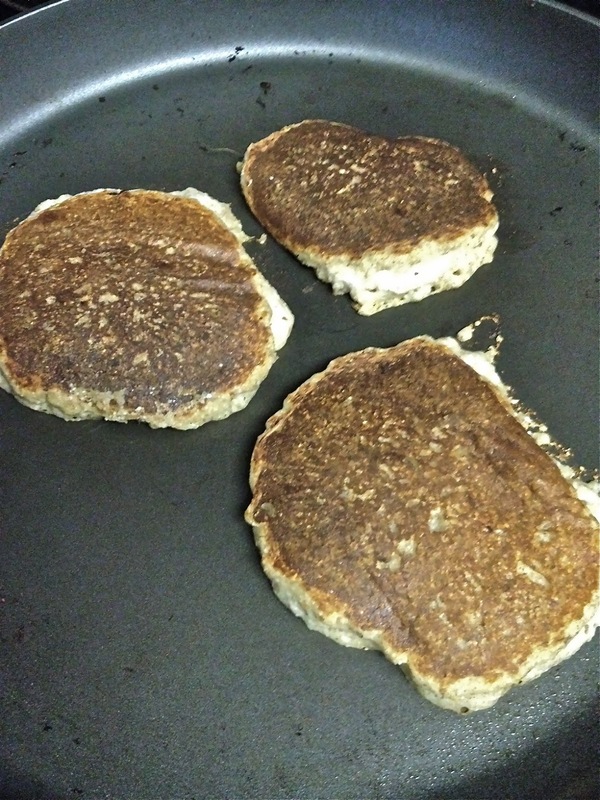 I would definitely add the almond flour though, you can really taste that one and it gives these pancakes a great richness and depth. 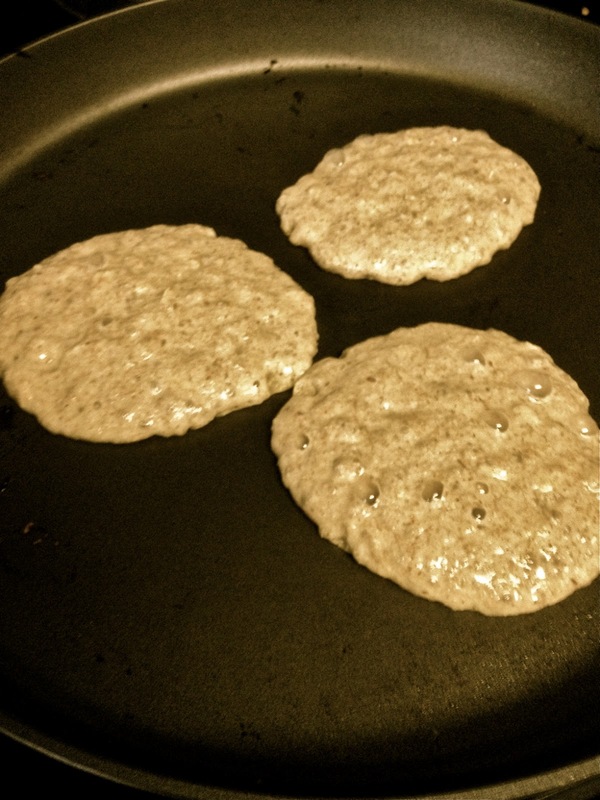 1) Add the chia seeds and flax to the water and let sit for 10-15 minutes. 6) Drop by spoonfuls/1/4 cup fulls depending on how big you like your pancakes, onto a medium hot skillet. Wait until the pancake bubbles and flip. Do not flip early, they will make a big goopy mess. A yummy goopy mess, but a goopy mess none-the-less. These pancakes are not super sweet by themselves. If you wanted to, you could add honey, real maple syrup, coconut sugar or evaporated cane sugar to tast. 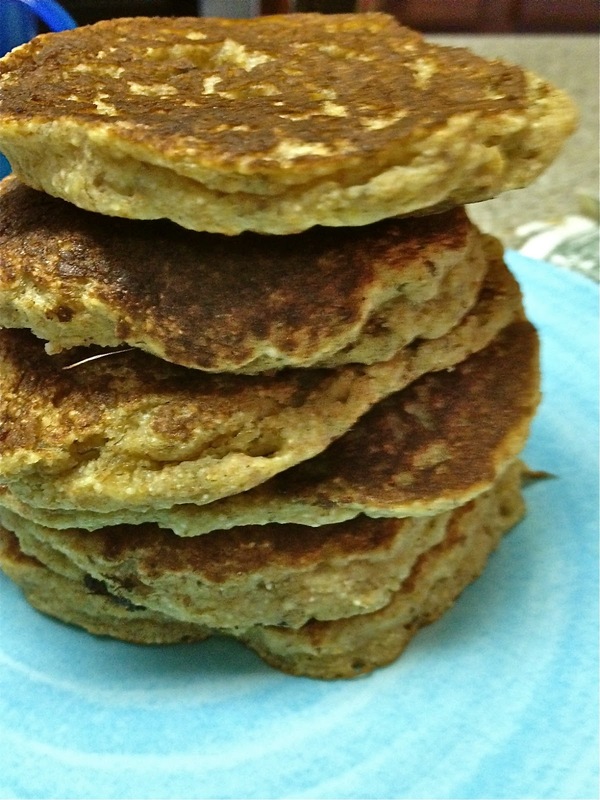 I made a second batch and added 3 tbsp coconut sugar and they didn’t even need syrup.